CHARTIER DE LOTBINIÈRE, MICHEL-EUSTACHE-GASPARD-ALAIN, army and militia officer, seigneur, jp, and politician; b. 31 Aug. 1748 at Quebec, son of Michel Chartier* de Lotbinière and Louise-Madeleine Chaussegros de Léry; d. 1 Jan. 1822 in Montreal and was buried 5 January in the church at Vaudreuil. 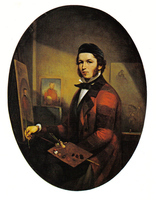 Michel-Eustache-Gaspard-Alain Chartier de Lotbinière was destined for a military career. During the siege of Quebec in 1759, when he had just turned 11, he became a cadet in the second artillery company, and when the French army was quartered in Montreal in 1760 he was breveted a second ensign. The conquest abruptly changed the course of his life. 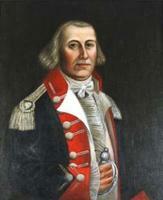 He accompanied his father to France in 1760 and there pursued studies with the aim of serving in the French cavalry. Reverses in the family fortunes obliged him to return to the province of Quebec, probably in 1763. He continued with his education for some years and in 1768 received a surveyor’s commission. But through force of circumstance he was soon involved in managing his father’s seigneuries. While in France his father had added to his seigneuries of Lotbinière and Alainville those of Vaudreuil, Rigaud, Rigaud De Vaudreuil (also known as Saint-François-de-la-Nouvelle-Beauce), Villechauve, and Hocquart. The purchases had saddled him with heavy debts, and in 1770 he was forced to sell his properties. Michel-Eustache-Gaspard-Alain was successful, however, in keeping much of the land in the family. With the financial help of his friend Charles-François Tarieu* de La Naudière he bought Lotbinière on 15 Feb. 1770, and then the seigneuries of Vaudreuil, Rigaud, and Rigaud De Vaudreuil on 14 Sept. 1771; in 1772 he sold Rigaud De Vaudreuil to Gaspard-Joseph Chaussegros* de Léry. Because of his immense properties, prestigious name, and family connections, Chartier de Lotbinière was now among the most influential Canadian seigneurs. If Michel Chartier de Lotbinière could not adapt to the new political situation in the colony, his son, by contrast, offered many tokens of loyalty to the British crown and gradually earned the trust and protection of the colonial officials. 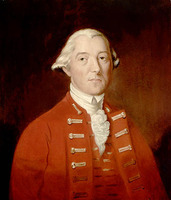 A confidential remark in 1786 reveals his opportunism and his attitude towards the new régime: “I am destined to live with the English,” he wrote to his father, “my welfare is in their control, I depend entirely upon them, consequently my policy is to adapt myself to circumstances.” At the time of the American invasion in 1775 he was one of the first Canadian seigneurs to offer his services to Governor Guy Carleton*. He participated in the defence of Fort St Johns (Saint-Jean-sur-Richelieu) under François-Marie Picoté* de Belestre and Joseph-Dominique-Emmanuel Le Moyne* de Longueuil. Taken prisoner in November, he was removed to Albany, N.Y., and then to Bristol, Pa, and remained in captivity until December 1776. After an exchange of military prisoners he spent the winter of 1776–77 in New York, returning to Quebec the following spring. His services earned him a captaincy, and half pay which he would receive until his death. 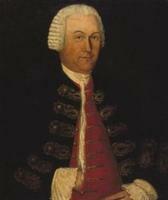 Having won Carleton’s confidence, he was appointed justice of the peace for the district of Montreal in 1777. 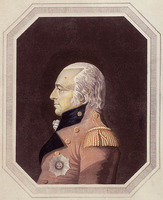 He obtained the rank of lieutenant-colonel of the Vaudreuil battalion of militia in 1794, and that of colonel in 1803; he retired from the militia in July 1818. The first house of assembly of Lower Canada, constituted in 1792, contained a great many owners of seigneuries, one of whom was Chartier de Lotbinière. He was elected, with his brother-in-law Pierre Amable De Bonne*, for York, a riding that took in the seigneuries of Vaudreuil and Rigaud. His name is associated in a particular way with debates in the first session that sanctioned the use of French in the workings and records of the assembly. In a speech reported in the Quebec Gazette on 31 Jan. 1793, he asked for English and French to be given equal recognition in the house: “Since the majority of our constituents are placed in a special situation, we are obliged to depart from the ordinary rules and forced to ask for the use of a language which is not that of the empire; but, being as fair to others as we hope they will be to us, we should not want our language eventually to banish that of His Majesty’s other subjects.” In the painting that occupies a place of honour above the speaker’s chair in the present-day Assemblée Nationale at Quebec, Charles Huot has depicted the house on the occasion of this speech. On 28 Jan. 1794 Chartier de Lotbinière was unanimously elected speaker, replacing Jean-Antoine Panet*, who had been appointed a judge of the Court of Common Pleas, and he held this office with dignity until the dissolution of the house in 1796. He then became a member of the Legislative Council and retained this office until his death. On 13 Dec. 1770 he had married Josette Tonnancour, daughter of Louis-Joseph Godefroy* de Tonnancour, in Trois-Rivières; she died at Vaudreuil on 28 July 1799 leaving no children. On 15 Nov. 1802 he married Mary Charlotte Munro, daughter of John Munro*, a member of the Legislative Council of Upper Canada, and widow of Captain Paul Dennis. They had six children but only three daughters survived their father. Marie-Louise-Josephte married Robert Unwin Harwood* in 1823 and inherited the seigneury of Vaudreuil. In 1821 Marie-Charlotte married William Bingham, the son of an American senator whom Chartier de Lotbinière had known during his captivity, and she received the seigneury of Rigaud as her share. Julie-Christine married Pierre-Gustave Joly in 1828 and inherited the seigneury of Lotbinière. ANQ-Q, P-44, P-163, P-239, P-351, P1000-21-378. “Lettre de M. de Meloizes à l’hon. M. E. G. A. Chartier de Lotbinière,” BRH, 52 (1946): 181–83. “Lettre de M. Fresnay Desmeloises à M. E. A. Charlier de Lotbinière,” BRH, 52: 180–81. “Lettre de Mr. Juchereau Duchesneau à l’hon. M. E. G. A. Chartier de Lotbinière,” BRH, 52: 184–85. “Lettres du marquis de Lotbinière à son fils,” BRH, 49 (1943): 377–78. “Une lettre d’amour de M. de Lotbinière fils,” BRH, 41 (1935): 632. Nicole de La Chevrotière, Chartier de Lotbinière, Gaspard Alain, 1748–1822; Gaspard Alain Chartier de Lotbinière: correspondance ([Québec, 1981]). C.-A. [de Lotbinière-]Harwood, L’honorable M. E. G. A. Chartier de Lotbinière (Montréal, 1910). Sylvette Nicolini-Maschino, “Michel Chartier de Lotbinière: l’action et la pensée d’un Canadien du 18e siècle” (thèse de phd, univ. de Montréal, 1978). L.-L. Paradis, Les annales de Lotbinière, 1672–1933 (Québec, 1933). Gérard Parizeau, La seigneurie de Vaudreuil et ses notables au début du XIXe siècle; essai sur le milieu (Montréal, 1984). F.-J. Audet et Édouard Fabre Surveyer, “L’honorable M.-E.-G.-A. Chartier de Lotbinière,” La Presse, 16 juill. 1927: 26–27. J.-J. 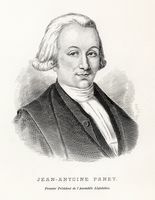 Lefebvre, “Michel-Eustache-Gaspard-Alain Chartier de Lotbinière (1748–1822),” ANQ Rapport, 1951–53: 371–411. C.-A. 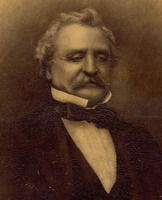 de Lotbinière-Harwood, “L’honorable M. E.-G.-A. Chartier de Lotbinière,” BRH, 40 (1934): 67–103. Marcel Hamelin, “CHARTIER DE LOTBINIÈRE, MICHEL-EUSTACHE-GASPARD-ALAIN,” in Dictionary of Canadian Biography, vol. 6, University of Toronto/Université Laval, 2003–, accessed April 26, 2019, http://www.biographi.ca/en/bio/chartier_de_lotbiniere_michel_eustache_gaspard_alain_6E.html.